The United Federation of Teachers (UFT) is a trade union that represents teachers, day care providers, guidance counselors, school nurses and other educational professionals employed in New York City’s five boroughs. Founded in 1960, UFT has over 200,000 members and advocates for competitive wages, reduced class sizes and fair hiring procedures in the New York City public school system. New York Teacher is the biweekly regional newspaper of New York State United Teachers, an umbrella group that provides services to more than 900 local affiliates including the UFT. With a focus on legislation, healthcare and professional development, the newspaper is direct-mailed to the 200,000 members of the UFT and boasts a total press run of more than 600,000 copies statewide. 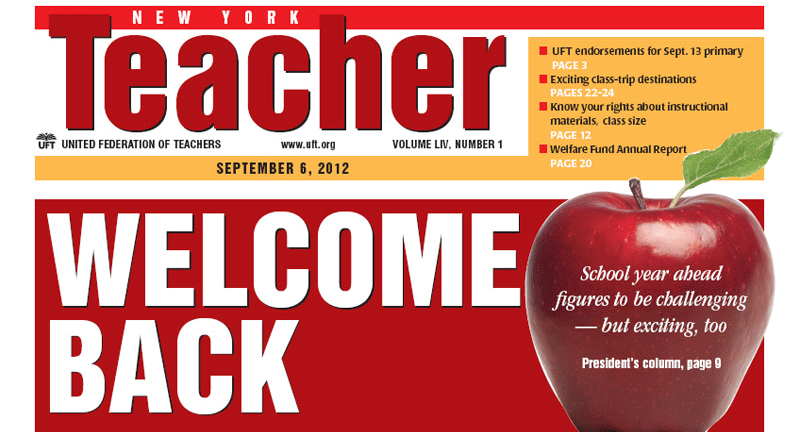 UFT manages the editorial, design and production workflow for New York Teacher, the official biweekly newspaper for affiliated educational professionals. The UFT creative staff constructed the print version of the newspaper using the Quark Publishing System, and then editors would copy and paste article content from QuarkXPress into Drupal, the Web content management system for www.uft.org. UFT management’s goal was to optimize the production workflow for cross-media distribution. The organization sought a workflow management system that would allow creative staff members to build the newspaper using Adobe InDesign, offer editors a toolset to simultaneously author content and track revisions of articles and provide a mechanism to easily delivery article content from print to Web. UFT hired DPCI to implement the vjoon K4 Publishing Platform, an editorial workflow management system that works in conjunction with Adobe InDesign and InCopy to allow editors, designers, and production professionals to collaborate more effectively. DPCI provided workflow management consulting services to design a solution that would meet the needs of the UFT’s editorial and production staff. DPCI first analyzed UFT’s existing status-based workflow, then met with editorial and creative staff to elicit functional requirements for the new publishing system. 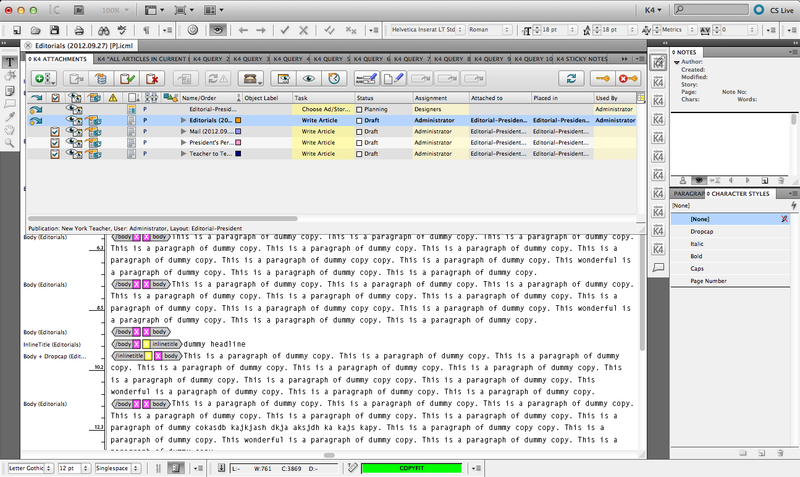 Throughout the analysis, DPCI helped to identify impediments in the current publishing workflow and offered suggestions on how to improve the process with a K4 task-based workflow. DPCI installed and configured the vjoon K4 Publishing Platform with Microsoft SQL Server 2008 and deployed Adobe InDesign and InCopy for UFT editorial and creative staff. 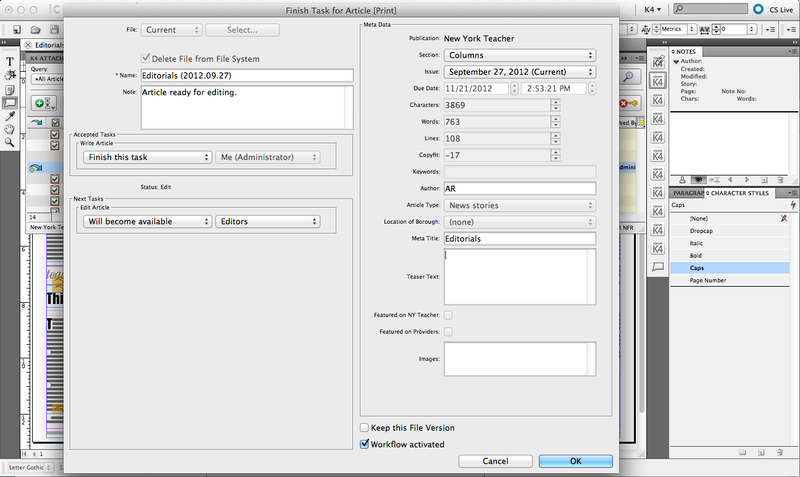 To simplify New York Teacher’s cross-media workflow for publishing to Web and print simultaneously, DPCI configured K4 to export articles as XML using the K4 XML Export module and wrote XSLT transformations to prepare the content for import into Drupal 6, the underlying Web content management system (CMS) for www.uft.org. DPCI then developed custom modules for Drupal that instantly import the articles with associated metadata for publishing on www.uft.org. Once deployed, DPCI provided K4 Publishing System Version 6 Administration and Maintenance training to UFT system administrators. DPCI provided creative staff and editors with Adobe InDesign and InCopy training focused on how to use the applications coming from QuarkXPress and then trained the same staff members on how to use K4 within those applications. To help ensure a smooth rollout, DPCI provided on-site and remote support to end users and system administrators as they produced the first issues of New York Teacher using the new platform and toolset. With DPCI’s help, the UFT design and editorial staff can now create and deliver the New York Teacher newspaper both in print and online simultaneously, while maintaining the creative quality of the publication. The vjoon K4 Publishing Platform provides New York Teacher editors and reporters with visibility of what other staff members are working on throughout the editorial production process. 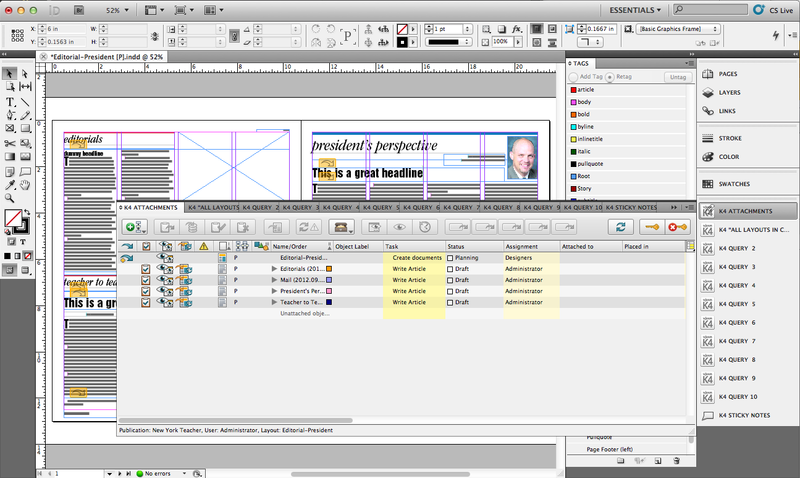 In addition, the UFT creative staff can develop templates for standard page layouts to rapidly produce content. Further, with K4, managers can set internal access permissions for editors, reporters and other members of the creative staff. This level of transparency simplifies the versioning process and ensures the stability and security of documents in progress.